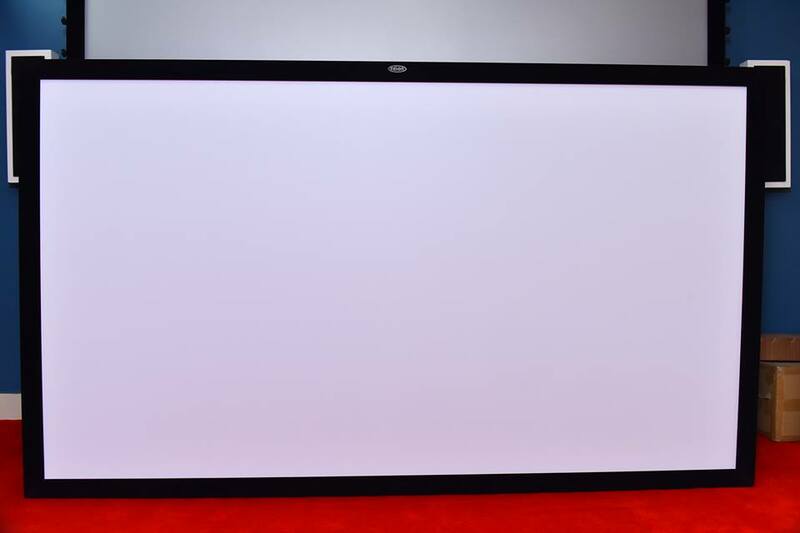 Fixed Frame Projection Screen offers the right framework whether at home or in the office. 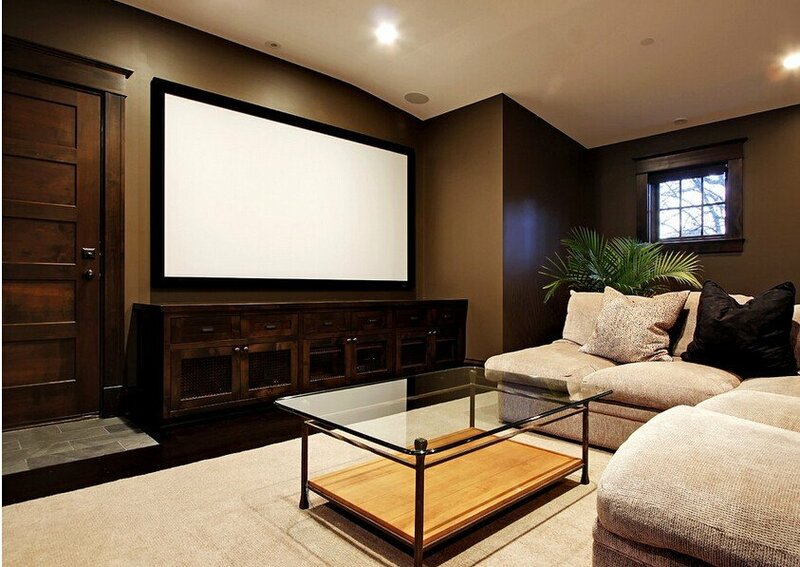 It has an attractive frame for the cinematic experience at home or for use in the office. The Sleek aluminium frame (width 8cm) makes projections richer in terms of contrast and improved brightness perception. The frame, which is a snap-on system, is easily assembled and de-assembled. The Projection surface is fixed on the back on 4 sides with tension poles and hooks. 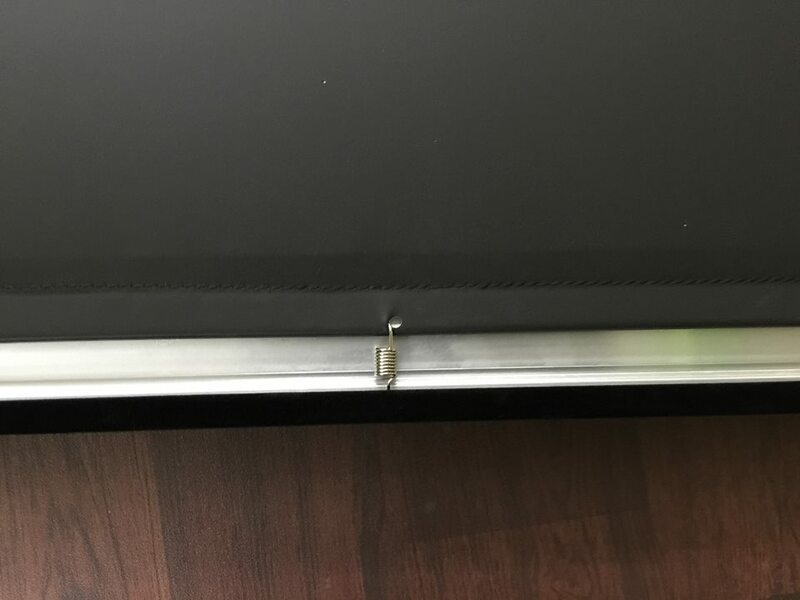 Guarantees a permanently flat screen surface for excellent consistent reflection. 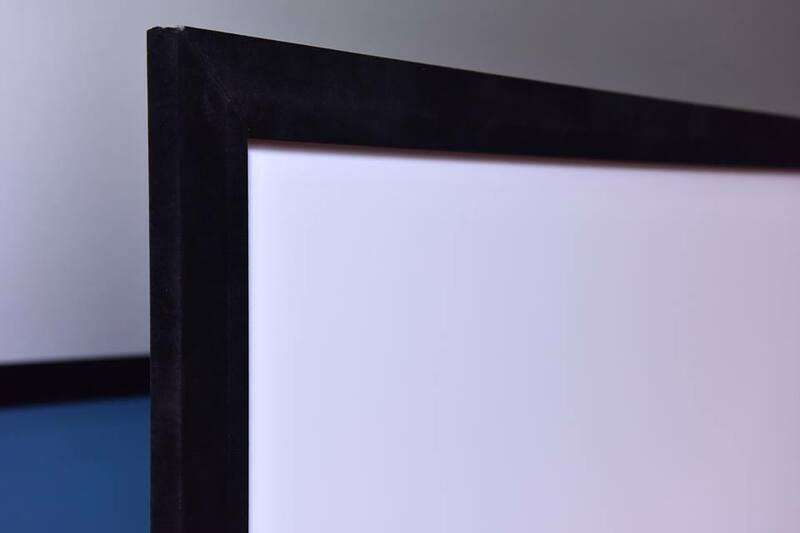 Attractive frame for the cinematic experience at home or for use in the office Sleek aluminum frame (width 8 cm) for projections richer in terms of contrast and improved brightness perception. 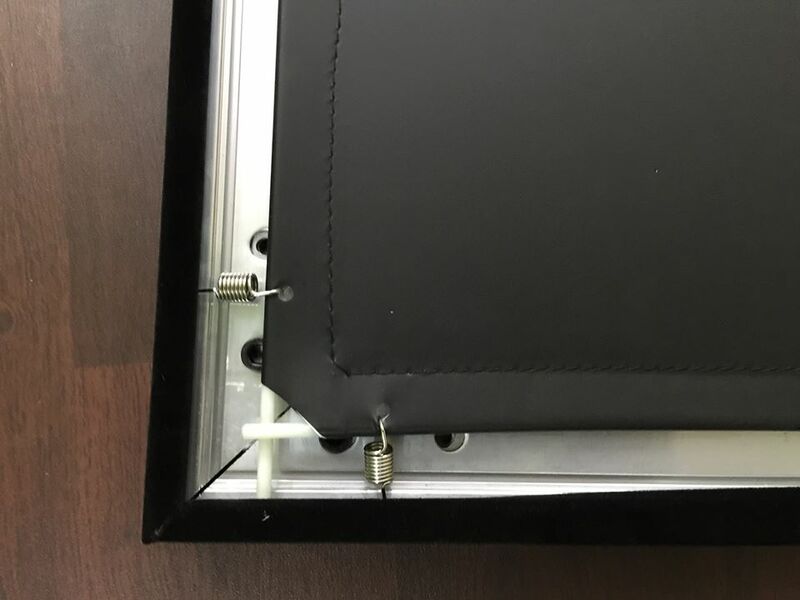 Easy assembly of the frame (snap-on system).Projection surface is fixed on the back on 4 sides with tension poles and hooks. Guarantees a permanently flat screen surface for excellent consistent reflection. 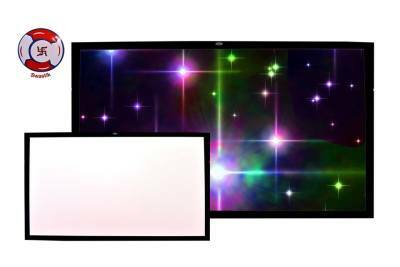 You can change a Multi format to an NTSC, HDTV, or 16:10 format at minimal cost by exchanging or removing a few frame sections (separate viewing surface required).